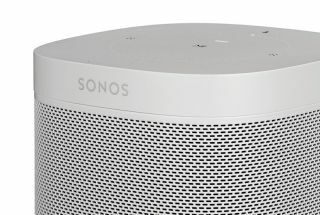 Sonos support for Google Assistant due “later this year” | What Hi-Fi? Google’s voice control should sit alongside Amazon Alexa on Sonos’ smart products by Christmas. Ever since Sonos launched its Alexa-enabled One smart speaker (and more recently the Beam soundbar) there’s been speculation over whether the company would also pledge support for the rivalling Google Assistant voice control too. Last autumn, Assistant was rumoured to arrive on the One this year - but we’re still waiting. In a recent phone call with The Verge, Sonos CEO Patrick Spence said the integration was due “later this year” - in time for the holiday season. “We’re working as hard as we can and so is Google to get it ready for that time,” he said. Spence also told The Verge the brand’s products would remain within their current price range (which is £149 to £699) and not dip lower to match smart rivals like Amazon and Google at the £100 mark. With Sonos going public on Nasdaq yesterday - meaning it should soon have more money to spend on smart speakers - it may make sense to keep the rivals it’s licensing the voice control technology from at arm's length, after all.